Want to know more about the new IT company in the Business Park, LegalMatch Philippines? If you already know us, then that’s great, but if you don’t, then let me walk you through on what we do, and what we can offer you. LegalMatch Philippines is not a company that matches people with their soulmates. So, here is a brief background on our name LegalMatch (don’t worry this will be short). The name LegalMatch is from America’s original attorney/client matching service which is not a referral service. Yes, you heard it right, LegalMatch helps people in America look for lawyers or attorneys that might help them with their legal needs. If you are interested, then you can learn more about LegalMatch here. So, now you ask yourself, why is LegalMatch Philippines an IT company, shouldn’t it be something like in America where they help match attorneys and clients? I was also like you, having the same question when I applied, but I was surprised that LegalMatch Philippines is different (by leaps and bounds) from the LegalMatch in America. The main objective of LegalMatch Philippines is to support LegalMatch in America. 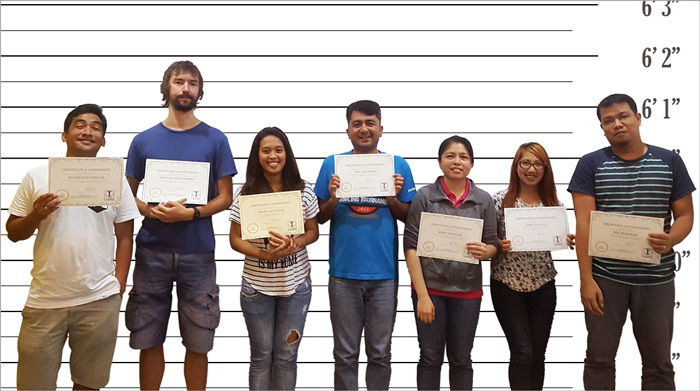 We are an IT company composed of Java experts, Senior Web developers, SEO/CRO specialist, Data Scientists, Software Quality Assurance experts, Senior Technical Writers, and HR professionals (and we don’t have a single lawyer or attorney in our team). With our teams here in Cebu, we support the LegalMatch application, we implement new features, we handle attorney/client data, and we research on how to create more value for the business. Knowing the company, are you now interested in joining our team? The next part will help you learn more about us (this is where it gets exciting). 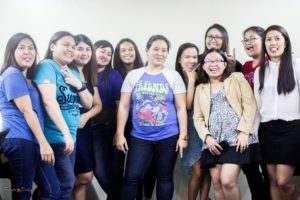 What is working with LegalMatch Philippines like? Well, I will tell you based on my experience working here. From the few months I’ve been with LegalMatch Philippines, I’d say that this company can compete with any leading IT company (Philippines only, I haven’t had the chance to work abroad) based on compensation, workplace, and people. 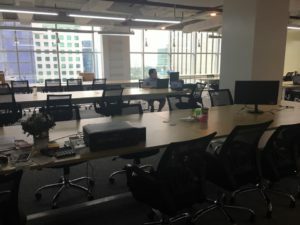 So, bear with me for a little longer (you will not regret this) as I try to explain how amazing LegalMatch Philippines is. Yes, it is hard to admit, but we are always looking for greener pastures. My story is not so much different from yours, I’ve been with a few companies, but LegalMatch Philippines offered the best pay so far, which I can compare with professionals working in Makati, and like other leading IT companies, LegalMatch compensates you for your skills. LegalMatch respects the skills of its employees and does not hesitate to offer more if you can give them more (the more skillful you are, the better your pay grade). So, a company that pays you for the skill sets you have, how bad an offer can that be? And, I forgot to mention, we have free lunch once a week, and team bonding dinners every now and then (company expense). Oh, the second thing we look for in a company, the place where we’ll be staying 6 hours a day, 5 days a week (why 6 hours you ask, I’ll be explaining this later). For me, the workplace is a big thing, if I’m not comfortable with it, then that’s a big NOPE for me. Would you like to work in dark place, with smell of ammonia, and rats all over the place? I guess not, right? What more can I say, the workplace is pretty nice, and it helps you get your work-mode juice flowing. And every now and then, we have Roshambo tournaments, and team-bonding games. And now, going back to the 6 hours a day; yes, you heard it right (again), instead of spending 8 hours in the office you only need to spend 6 hours because of our work from home policy (oh my goodness, work from home, yes, that’s right, LegalMatch offers work from home). We will talk about this policy in details, in the next blog (believe me this will be quite lengthy because of the technicalities, but it’s nice to know, you might want to discuss this policy with your HR team, *wink). Are you still with me? This is the last one on my list, people. I think the most important thing when working in a company is the people you are working with. No matter how big the compensation, or how lovely the workplace, but if you are working with a douche, then everything falls into ruin. Here in LegalMatch everyone are experts in their fields, being an expert is having experience, and with experience comes wisdom and respect. And I’m proud to say that the people working here are all professionals, their egos might come out from time-to-time but they have respect for others, they can control their emotions, and deal with arguments in the most professional way. I love the people working here because they respect me as person and as their colleague. I think that is it, what LegalMatch Philippines is and what you can expect working with us. Actually, there are still more to talk about like, how we use Agile, Test Automation, SEO strategies, Java 8, Confluence, JIRA, BitBucket, and so much more. I would really love to talk about all this stuff here, but I’m only limited to a few words per blog (*smile), but no worries, I’m just starting, there will be more blogs to come to hype you more in joining our company. If by chance you were convinced by this blog and gave an interest in joining us, then feel free to look for the job you want to apply here. See you in the next blog. Is 30 Too Old to Start a Software Development Career? Can You Become A Programmer Without A Degree?